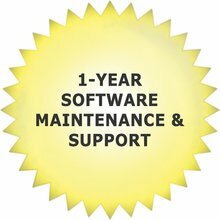 The premier software suite for ham shack automation. 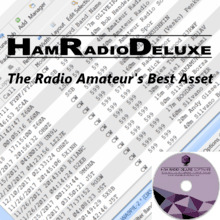 The current version of Ham Radio Deluxe is v6.5.0.207. Amateur Radio Software at its finest. The transfer of information is immediate and the power to communicate lies in the palm of our hands. But in a world of smart cars, smart homes, and smartphones – the error resistant, terror resilient, cell-tower independent technology relied on by emergency first responders and The National Weather Service (not to mention 3 million recreational participants worldwide) has been around for more than a century. Amateur Radio, also known as “Ham Radio”, is both a service and a hobby. It is a wireless method of communication connecting individuals from every corner of the globe regardless of location or circumstance. Licensed operators use radios varying from hand-held and base-station radios to dashboard mount and remote shack to communicate with other “hams” across the street and around the world. Ham radio operators come from a multitude of backgrounds, professions, nationalities, and income levels. They are men and women, young and old. Astronauts. Royalty. Even celebrity. Eagles guitarist Joe Walsh recently delivered a series of PSAs on behalf of the American Radio Relay League, and Tim Allen was so inspired by his ham radio experiences on “Last Man Standing” that he tested for his own license in 2014. These hams connect on 29 frequencies ranging from 135.7 kilohertz to 250 gigahertz (plus all frequencies above 275 gigahertz) – some of which allow communications around the globe and even to satellites in space. Hams are licensed to operate by the FCC and assigned a call sign by the International Telecommunication Union. License classes include Technician, General, and Extra. 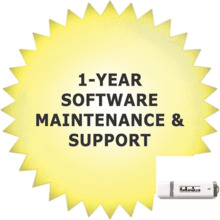 The more advanced your license, the further your reach. We’ll get into that a little later. In instances of crisis and natural disaster, the grid can become a gridlock. We saw it on 9/11 when emergency calls overloaded the networks and we saw it when a blackout swept through North America in 2003. Ham operators were critical in these fragile moments, never more so than when over 1,000 cell sites were incapacitated during Hurricane Katrina in 2005, when cell phones were inoperable, and just as many operators traveled to the Gulf Coast to provide emergency communication assistance. The amateur radio is cell tower and electricity independent, and batteries can be charged and stored or rejuvenated using solar power. Handheld radios are both portable and sturdy, and repeaters are reachable from states away and have proven significantly more reliable than cell towers. It is for these reasons that emergency-response organizations like the Federal Emergency Management Agency (FEMA) and the Red Cross turn to amateur radio operators when times are dire and communication is otherwise not possible. Hams have a phrase regarding emergency communications, “When All Else Fails.” This is a valuable public service. Contesting is a common, shared hobby amongst ham enthusiasts wherein amateur radio organizations (think clubs and magazines) define a set of criteria and participants make as many contacts within these constraints as possible. The parameters for these events often fall within a specific geographic area, define the mode and band for contact, and require a specific piece of information be obtained from the contact (name, age, etc.). While there is an element of competition, there are no professional contesters and awards are generally limited to a certificate acknowledging the accomplishment. Ham radio operators are competitive by nature and; in the world of ham radio contesting, participants seek to contact as many stations as possible in as many “entities” as possible. Entities can be countries, US States, CQ or ITU Zones, geographic grids, US National Parks, and many more. In some cases, scores are tabulated in real-time on Internet sites. The contest sponsor defines the rules about power limits, days of operation, frequency bands, and under what conditions contacting the same station are allowed. Some contesters establish a presence on a given frequency with the goal of getting every possible benefit from being on the air at a given frequency. This is called “run”. Other contesters will tune around various frequencies looking for “multipliers” that will increase their score. This is “search and pounce”. One of the most popular contests is called “Field Day.” For many hams, this contest was their first exposure to being on-the-air - even before obtaining a license. The contest is used to promote community outreach, emergency preparedness, technology, and competition. Many field day sites are held in public areas, like a shopping center parking lot. It’s always a good time to get out the food and share some good times. For the sake of the contact, ham radio operators collaborate and organize voyages to remote and exotic locations wherein they provide highly sought-after contacts with islands, countries, or grids that would otherwise be unreachable due to location, population, or regulation. They take the gear, electrical generators, and antennas, then transmit around the clock – often making more than 60,000 QSOs (contacts) within a matter of days. DXers also participate in contesting where they attempt to contact as many hams as possible from as many distant places as possible. The Amateur Radio Relay League (ARRL) sponsors a number of awards programs. The DX Century Club (DXCC) is one of these and focuses on rewarding operators for their DXing performance. Operators who have confirmed contacts with more than 100 entities are eligible for one of 16 awards based on the mode and band of contact and; when won, earn a certificate commemorating their success and all the bragging rights that come with it. A contact is confirmed when the destination station sends a QSL card or some alternative, electronic confirmation through an online confirmation system like Logbook of the World (LTOW). Hamfests are a combination of a ham radio trade show and a technical flea market. Equipment manufacturers like Icom, Yaesu, Elecraft, Kenwood, Timewave, FlexRadio, and others come to show off their latest gear. 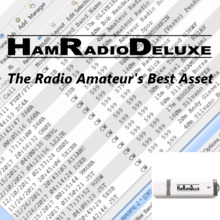 Ham radio retailers - or dealers - come and set up a store on-site to enable hams to buy the equipment they see. Hams set up their own tables and sell their own used gear. Hamfests often include forums and presentations aimed to provide new information and educate hams. Licensing exam sessions are proctored to provide an opportunity for hams to upgrade or as a way for unlicensed individuals to take a shot at passing the test. Transmitter or “Fox” Hunting is the amateur radio equivalent of geo-caching and is especially popular among high school and college clubs. A designated participant hides one or more radio transmitters within a designated area, then the wider group ventures out in hot pursuit. The nuances of the sport are many, but the primary goal is to identify the location of the transmitter before the rest of the group. Fox hunting is commonly considered a purely recreational activity but its uses are handy and quite a few. Prime examples include search and rescue operations, the location identification of weather balloons and other scientific devices, and even the tracking down of repeater jammers in situations such as war. Additionally, the practice teaches map reading, equipment operating, triangulation, and orienteering, making it a popular hobby among young groups of hams. I've often heard this referred to as "automatic position reporting system." Based on the AX.25 implementations of packet radio, the "automatic packet reporting system" is used to communicate position information (longitude and latitude) to other ham radio stations. This is used to track everything from vehicles traveling across the country to balloons launched by ham radio operators. Originally implemented with external hardware, many handheld and mobile VHF radios are equipped with a GPS and the software necessary to report position. It’s a small, small world and that popular sentiment rings especially true for operators of ham radio. From the comfort of their cozy desk chairs, hams introduce one another to new cultures and ideas through radio conversations that bridge continents, philosophies, and generations. And that’s not all. The ham radio hobby is an especially social one. When operators aren’t chatting with one another from their home, shack, or car, they’re gathering at clubs, venturing expeditions, and educating one another at conferences and conventions. The conversations are constructive, the competitions friendly, and the community truly universal. The Federal Communications Commission (FCC) governs the amateur radio service through “Part 97” and is the sole issuer of amateur radio licenses within the US. 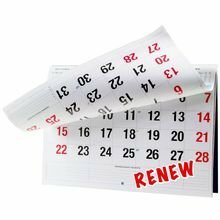 There are three classes of license, each of which requires an exam, and these licenses require renewal every ten years. The exams are proctored in person by volunteers examiners and; upon completion, entitle the new operator a call sign assigned by the FCC within the range assigned by the International Telecommunication Union (ITU). Like license plates, these call signs can be replaced with vanity signs, for a small fee. Technician: Technician licensees are entry-level operators. They pass a 35-question examination that covers radio theory, regulations, and operating practices. Their license earns them access to the data portion of the 10 and 15 meter bands and all Ham Radio frequencies above 30 megahertz – covering most of North America additional to some limited international contact. General: General Class licensees acquire some operating privileges (frequencies) on all amateur radio bands and in all modes. The exam is 35 questions and – if you’re feeling especially ambitious - can be taken the same day as the Technician license. Extra: Extra licensees have earned all operating privileges on all amateur radio bands in all modes. They pass an intensive, 50-question examination and passed the Technician and General exams prior to the accomplishment. This exam can also be taken on the same day as the other exams. Voice communications, also known as “radio telephony” or “phone”, can be broken down into the subcategories of analog and digital. Analog voice is comprised of voice signals detected by microphone and carried across wave signals. The most common forms of voice communication are amplitude modulation (AM), frequency modulation (FM), and single sideband (SSB). Single sideband uses either the upper portion of the AM signal (USB) or the lower portion of the AM signal (LSB). 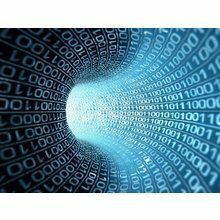 Digital take these voice signals and encoded into a stream of data before transmitting. At the receiving end, the digital signal is decoded and reproduced as audio that can be understood by the human ear. Morse code is a mode of communication also referred to as “Continuous Wave” or “CW”. It was developed by the American artist Samuel F. B. Morse in 1836. It is the long and short keying of sound representing the letters of our alphabet. While it has declined in popularity over recent years, it is still considered one of the most efficient means of communication across all bands. The practice was at one time required in order to earn the General and Extra licenses, but the criteria was removed with the development of digital modes in the interest of encouraging more hobbyists to advance their license class. With a few exceptions, transmitting digital modes involves using a computer sound-card and software to encode an analog signal and modulate a SSB signal onto a given frequency where it can be decoded by software running on another computer. Essentially, this is “keyboard to keyboard” communications. There are a number of modes that use this method. They include PSK31, MFSK16, Olivia, Contestia, AFSK (sound-card form of RTTY), JT65, JT9, and FT8. AFSK is RTTY encoded and decoded by a sound-card. FSK is RTTY encoded by the transmitter or a terminal node controller (TNC). Quite often,a sound-card is still used to decode the FSK signal. 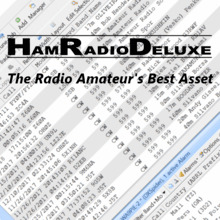 How are Ham Radio Licenses Structured? How Do I Get a License? Ready for your license? That’s excellent! Step one is to pick up a study guide of some variety - they come in textbook, pdf, and there are applications for your cellular device that allow you to take practice questions whenever you find yourself with a few extra minutes. Local ham radio clubs often provide classroom instruction to assist prospective hams in passing the exams. What Equipment Will I Need? Is it Expensive? To a certain degree, the license class and particular interests drives the type of equipment one would need. For reference, this article will cover the cost of new equipment. Handheld radios, which hams refer to as “handi-talkies” or “HTs” can be obtained for a price range from as low as $35 for HTs imported from China (Baofeng) to $500 for HTs with advanced capabilities, a built-in GPS to communicate position as APRS data, and digital voice. Mobile radios are often installed that enable communications from 160 meters to 23 centimeters. These radios fall into two categories. One category includes all frequencies and modes from 160 meters to 23 centimeters. The range of these radios is from about $550 to $1,100. Some radios are for 2m and/or 23 cm. These radios range from about $150 to $500. Mobile antennas range from just under $100 for VHF/UHF antennas to almost $1,000 for HF antennas. Radios that hams use from inside their homes are referred to as “base stations.” The price range of these radios go from a modest $800 to almost $13,000. Towers and yagi (beam) antennas can cost tens-of-thousands of dollars. 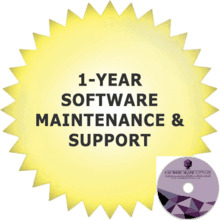 Customers who do not wish to purchase a 12 month Software Maintenance & Support renewal and need tech support on a one-off basis.